Last year was a different kind of year, and this space was not a place for me to share and express like it has been at other times. Last year, our family changed a lot, losses and gains. Last year, we learned a lot. We preserved. We grew. We gathered, and we let go. Life is ever shifting, ever changing, and I am glad to have faced this past year with The Gentleman and his support and constant joy and love of this life, even in the darkest of times. We really are very lucky to have found each other, and I look forward to new adventures with him and my other loved ones this year. And to a year of fiber. Last year, I took a spinning class at my local fiber arts academy — like yarn spinning, from sheep. My mom, bless her heart, took it with me (Thanks, Mom! I owe you a weaving class!). And I’ve been spinning ever since. I loved the drop spindle and learned so very much from the slow, methodic, process. I currently have camel down on mine, but it hasn’t gotten a lot of attention recently – way too many gifts to be finished. I (with the unwavering support of The Gentleman) bought a spinning wheel a couple months later. It sits in our living room. Thanks to my friends who have received yarn (for the knitters) or hats and cowls. The practice of trying different types of fiber and different ways to blend colors and support artisan dyers across the nation has been an amazing way to learn and try different techniques. I have learned, and continue to learn, so much. And I love all of it. Love it. This gorgeous ombre targhee was five colors, blended on a blending board and then chain plied. It’s waiting to have the twist set and then be sent as a very belated birthday gift to an old friend. That’s on the weekend’s project list. I can’t wait to see what she makes from this! 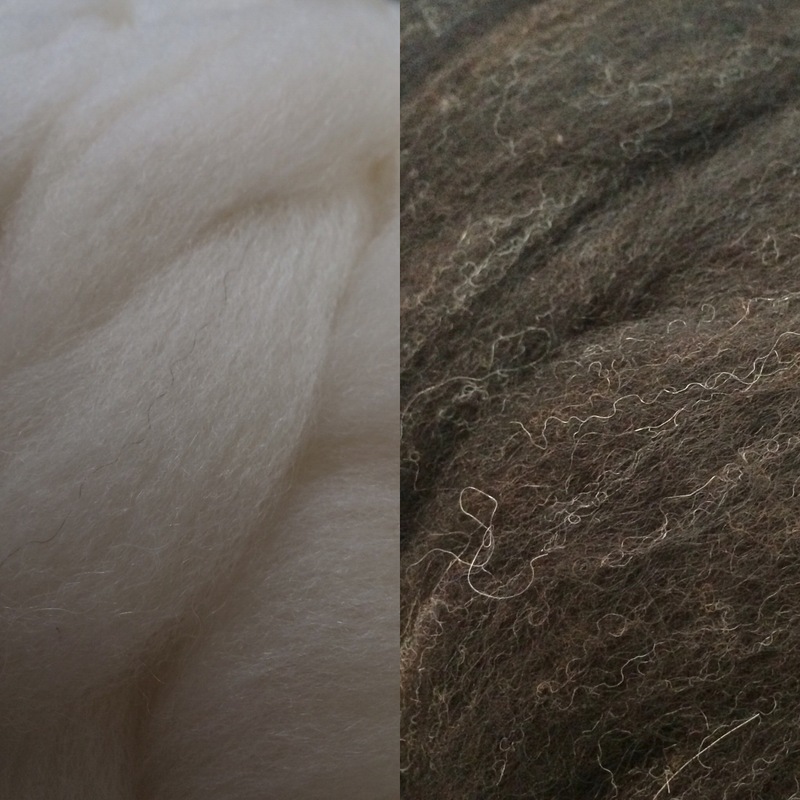 My christmas gift from The Gentleman — almost a pound of alpaca/wool blend rovings from a nearby mill. I’ve started plotting and scheming, and talking myself into being competent enough to spin enough yardage consistently to make a garment for myself. I think The Gentleman believes in me. And I think I’m going to need more spools. In the meantime, I started spinning a new targhee roving last night. It is gorgeous. And I’m spinning it as a single – my first single after months of spinning on my wheel. I may have another set of skeins to set before the weekend is done. It’s a bit overspun, but it’s holding together beautifully and think it will make an amazing scarf for a dear friend. So here’s to the end of a year, and to the beginning of another. Love harder than you thought possible. Live this life. Create beautiful things. Try something new this year because learning and doing and trying new things are not limited to January first. Who knows what you’ll find that will bring you joy. 02 Jan	This entry was published on January 2, 2016 at 7:20 am. It’s filed under Projects and tagged drop spindle, fiber, fiber arts, retired racer, setting twist, skein, spinning singles, spinning wheel, spinning yarn, targhee, yarn. Bookmark the permalink. Follow any comments here with the RSS feed for this post.